Buzzfeed reports on an interview between Goldman Sachs CEO Lloyd Blankfein and Andrew Ross Sorkin of the New York Times. The good news is that Blankfein recognizes the problem of inequality. The bad news is that he implies that it will get worse. He talks about a new economy that will employ labor in “new ways.” From capital’s perspective, that means the best return for investors, which has traditionally result in process improvements, automation, and offshoring. I’m not condemning Blankfein. As a leading investment banker, he is saying what he should. Working people and unions need to walk up to this reality, or the current good news on the job market will be temporary. We need a real workers’ bill of rights that provides realistic security for labor as well as capital. I love baseball, and this weekend I attended minor league games in Indianapolis, Nashville, and Louisville. 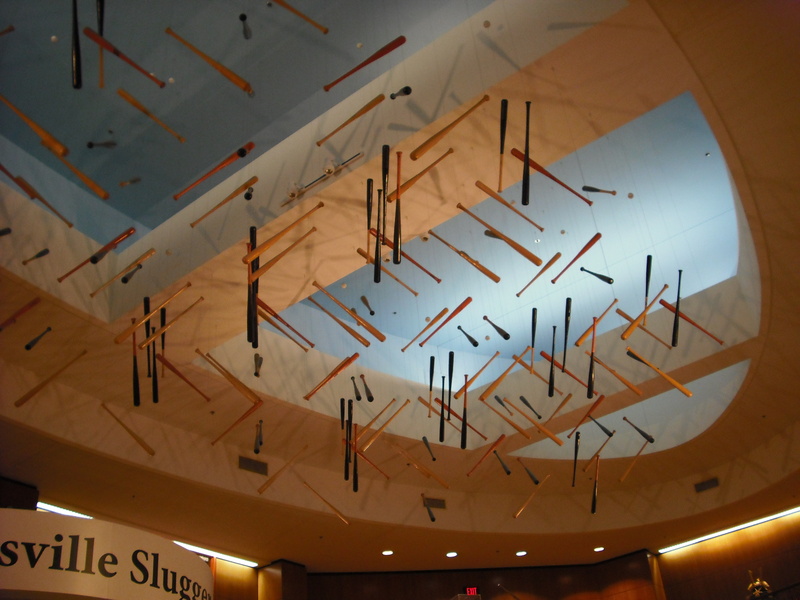 While in Louisville, I took a tour of the Louisville Slugger Museum, which features a working factory that makes bats for big leaguers and recreational players. During the tour, we learned that from the 1880s to the 1970s, bats were made by hand. They were the work of craftsmen who used their hands and eyes. A good bat maker could carve a bat in 20-30 minutes. By the late 1970s an automated process was devised with a new lathe that could carve a bat in 30 seconds. Great for the company, not so good for the men who worked the lathes. This story underscores the impact of automation on work. One of the lathes at Louisville Slugger could cut more in an hour than a man could do in a day. No sane business would continue to work in an inefficient manner. Layoffs were necessary. Similar advances have led to millions of layoffs in manufacturing, assembly, and supply chain. Better technology means fewer jobs. No company can stick with people when machines can do as good or better a job at a much lower cost. We all love innovation, but we have to look realistically at its aftereffects. Faster, cheaper, and more efficient usually means people will lose their jobs. The challenge is to generate new jobs in a world where machines, software, and automation are improving all the time. What will we do if a time comes when we have more people than jobs?